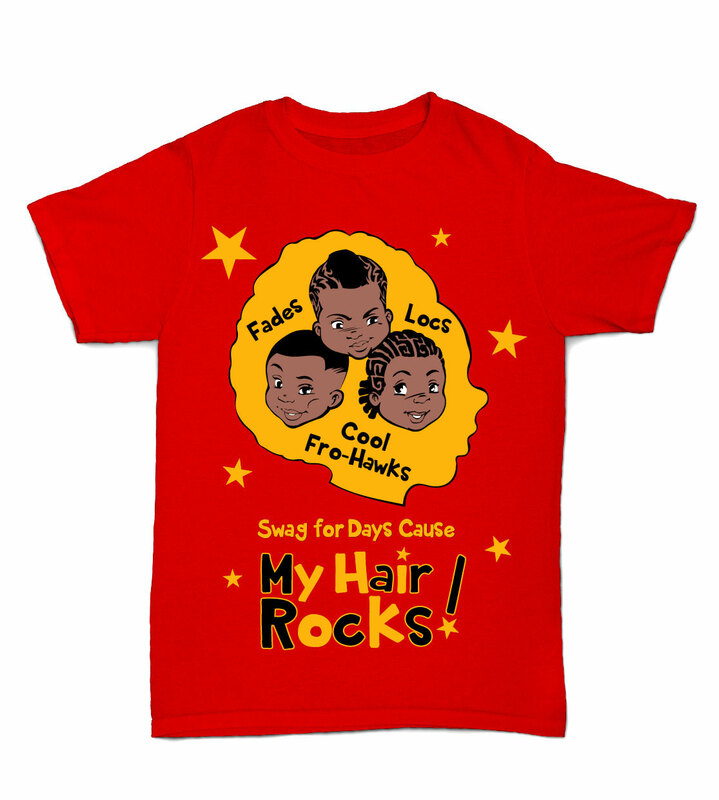 Fades, Locs, Cool Fro- Hawks, Swag For Days Cause My Hair Rocks! 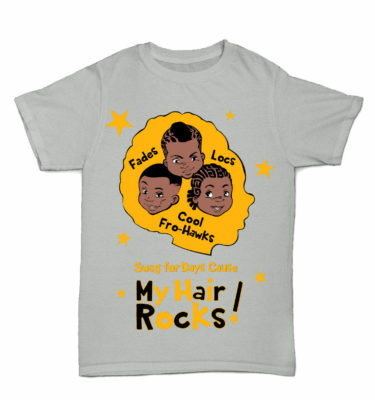 Black, Yellow & White. 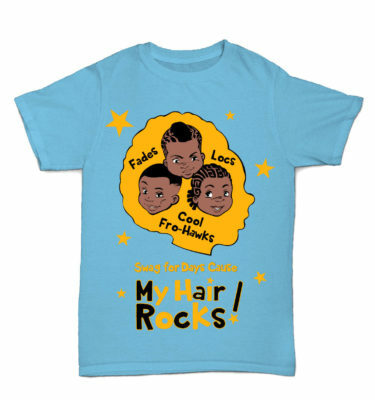 (Screen Printed with high quality vibrant ink.) 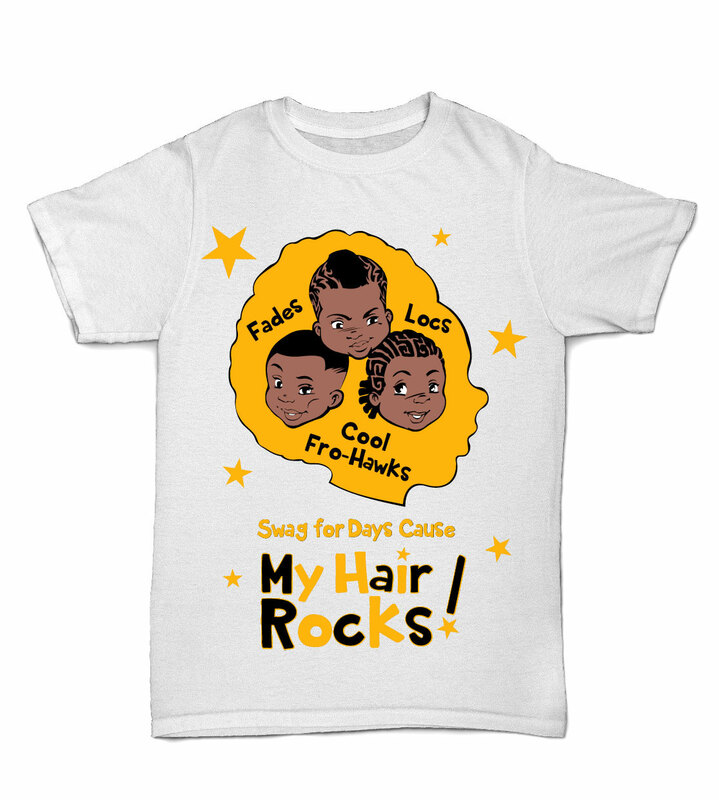 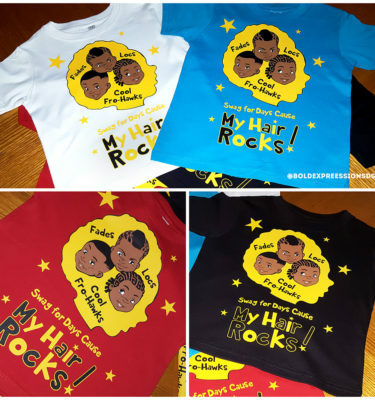 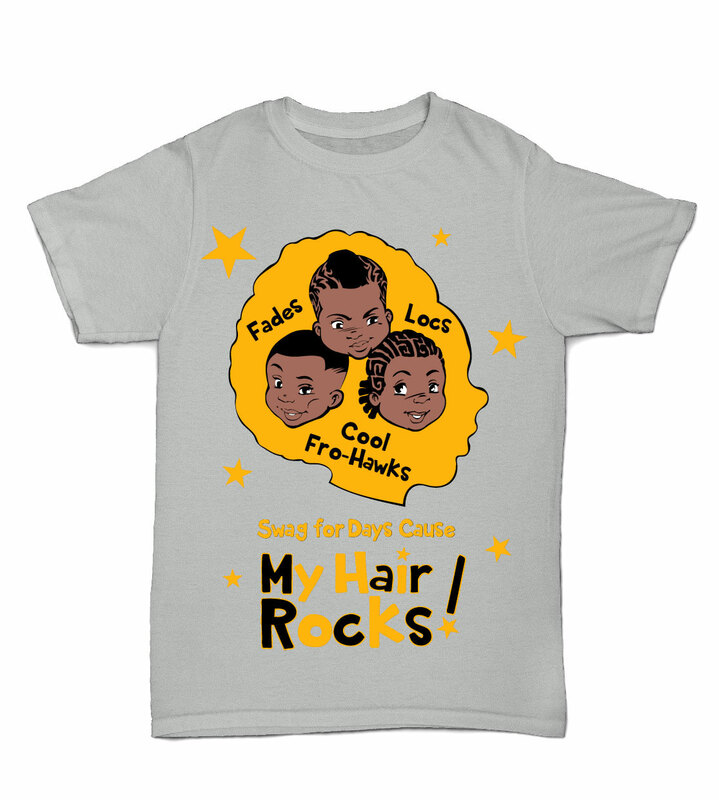 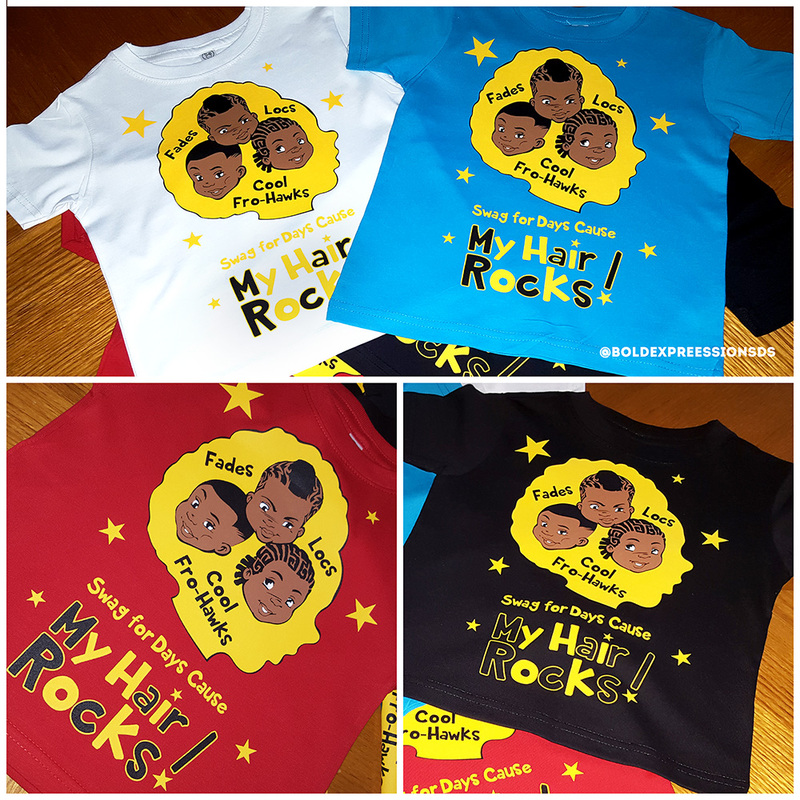 100% Cotton Toddler/Youth Boy t-shirts. ***Please Note: This is a stylish regular t-shirt for boys. If you want a very loose fit we suggest purchasing 1 size larger. -Wash inside-out in cold water. No bleach is recommended. -Air dry or tumble dry inside out on low heat. -Iron inside out on low heat or hang dry for best results. -It is best to avoid ironing the image area. *Screen printing ink can last for 15+ years with the proper care instructions.